Now that she’s completed her education, she has her sights set on someone else’s graduation: Erica, her younger sibling. Erica recently enrolled in secondary school with STF Partner Starfish Impact where Angélica attended, following in the footsteps of her big sister. “For my sister, pursuing her education is a big opportunity to learn how to be determined, resilient, and to learn it from her peers, especially someone like me who was able to achieve my ambitious goal. Today, my family is proud of both of us. What’s next for Angélica? She’s already been accepted to the Universidad del Valle de Guatemala, one of the top universities in Guatemala. She's currently working on scholarship applications, and plans to pursue Biochemistry and Microbiology this coming January! She hopes to eventually attend medical school in the United States and is excited about the new adventures that lie ahead. 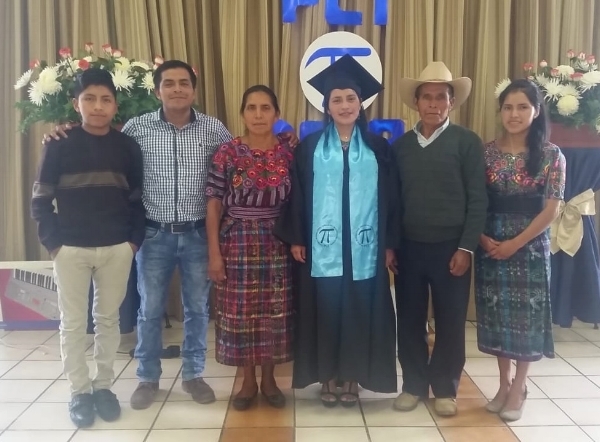 Honor Angélica's graduation year by donating $20.18 to support future STF Scholars in Guatemala. Older PostShe's the First Goes to the White House!